My name is Matthew Gattozzi, and I am a 22-year old living in Austin, TX! After traveling the world and dancing professionally I have switched paths to build my own business doing visual content and branding for other companies. I am no expert on being an adult, but I am willing to share my experiences to learn from my mistakes. 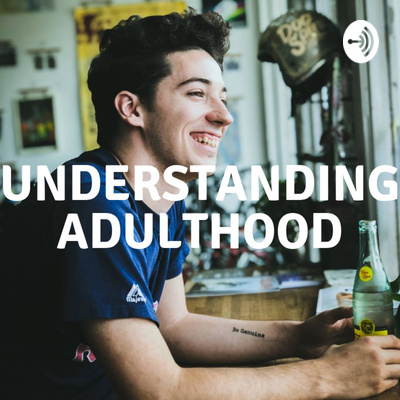 This is a podcast focusing on figuring out how to grow up, build relationships, understand my faith in God, be a professional, and everything else in between. What Makes Beyoncé One of the Best? Are you willing to change? My video was viewed by a crowd of people! I am officially a speaker! What Do I Want in the Next Year? Find People Who Believe in You! What’s the Point of Life? Should I Run the Austin Marathon Next Year? Why Do I Look at Success like Gas Prices? How I Went Crazy in One Day! Am I Running From Myself? Is the Internet Distracting Us from the Real World? I am going to Africa, and I NEED YOUR HELP! https://www.gofundme.com/help-me-go-to-mozambique-with-hope-worldwide HOPE Worldwide is a non-profit organization that I have volunteered with for many years. This year, they are starting a program in Maputo, Mozambique to teach students English, how to use a computer, and design skills like website design. I am a product of the internet, and I have learned my skills for photo, video, and design online. Me and few others will be able to help give skills to students that will allow them to provide for their family for generations to come. We are going to improve the foundations of the economy by teaching practical skills that are marketable around the world. I need help paying for the flights to Mozambique which can be pricey. Any extra money raised beyond the flights will go towards buying supplies like laptops to the program. Anything you give will go a long way and I thank you in advance!